I really did not know what to expect of a Pinocchio retelling by oh my god this was amazing. I was so impressed with all the parallels drawn but also with how different the story is from the original. This is an absolutely page-turner of a novel that I highly recommend to sci-fi/dystopian lovers (and come on, a Pinocchio retelling? How can you resist that). Loved this so much and I really want to check out some of Estes other books now! I have to say, I was completely blown away with this story. I wasn’t sure what to expect from a Pinocchio retelling, but this was amazing. If you’re looking for a really unique fairytale retelling then look no further. 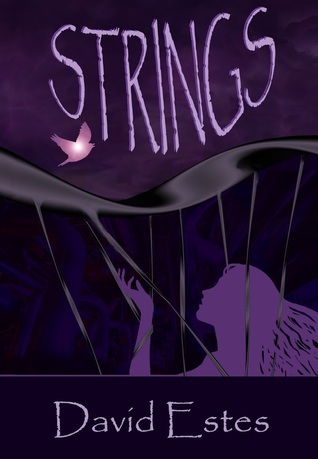 Strings follows the story of Pia, a young girl who is in a compound of sorts where everyday she helps make nanotechnology. Her dad is a genius and so is she. But they both have “strings” connected to them. They’re like tubes that come down from a specially made ceiling and they are controlled by the company. This means that they are under constant supervision (including when they shower and all that fun jazz) and the strings can be manipulated. So if they so much as breathe out of turn then YOINK. Somebody pulls their strings. In the most literal sense. They don’t know why they’re being forced to make what they are, and Pia doesn’t know anything of the outside world. As the story progresses we reveal more and more secrets and we can’t work who to trust and who is being manipulative. There is a wide cast of characters and it really is impossible to tell what their motives are. I thoroughly enjoyed this as a Pinocchio retelling and I cannot express how surprised I was with how well the retelling was pulled off. The idea of having strings and desiring freedom was particularly well articulated. The fact that the plot centres around people who are exploiting this and using it for their benefit also rings true with the original tale. The adventurous and daring side of Pinocchio is also transferred across into Pia’s character but BEST of all is that Jiminy Cricket’s characters also appears in the form of Fig. Fig is a little robot that can fly who helps Pia out. He was created by Pia’s father and is the sassiest character ever whom I utterly love. He has to be one of my favourite sidekicks of all time. So yes, overall this is an amazing retelling of Pinocchio, a fairytale that I would have said is one that is impossible to recreated in a unique way. Well, Estes has just proved me wrong. The thing that really drove the this story home for me, however, was the characters. I really liked Pia. I felt that I could empathise with her character and there were many aspects of her character, also, which resonated with me. I loved how passionate she was, I loved how caring she was, and I love how determined she was. Pia constantly surprised me throughout the story in making honourable decisions and I was really pleased with her character growth. She was a strong character in conjunction with her father, too. Marco was another favourite of mine within the story. I won’t talk too much about him and his role but I loved that he repped a bit of diversity by being a character in a wheelchair. I think that overall the disability theme throughout was really strong as there were so many character restricted by mental or physical obstacles that overcame them in surprising ways. Thumbs up to that. I highly recommend this book. It’s something unique on the fairytale retelling market that I think a lot, a lot of people would enjoy. The characters are rich and strong and the story is wholly entertaining. It will certainly keep you guessing as to what’s going on the whole way through and it completely addictive to read. Enjoy the plot twists and terribly brain-washed characters. 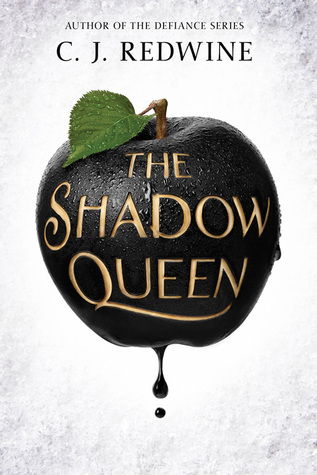 If you love your fairytale retellings, The Shadow Queen is for you. 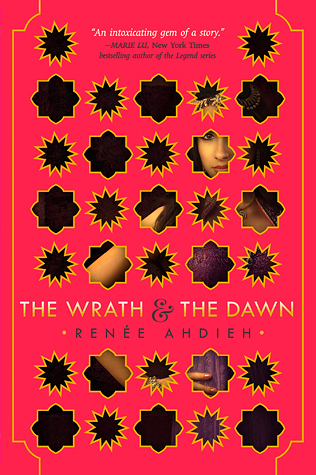 If you like retellings of other stories, The Wrath and the Dawn is for you. 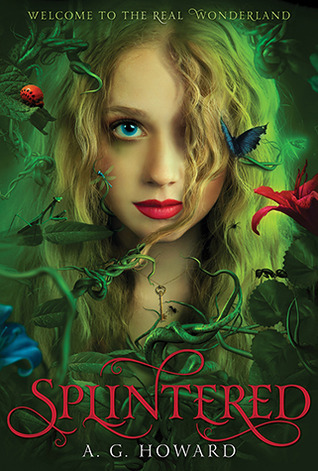 If you like fairytale retellings that are wonderfully creepy, Splintered is for you. 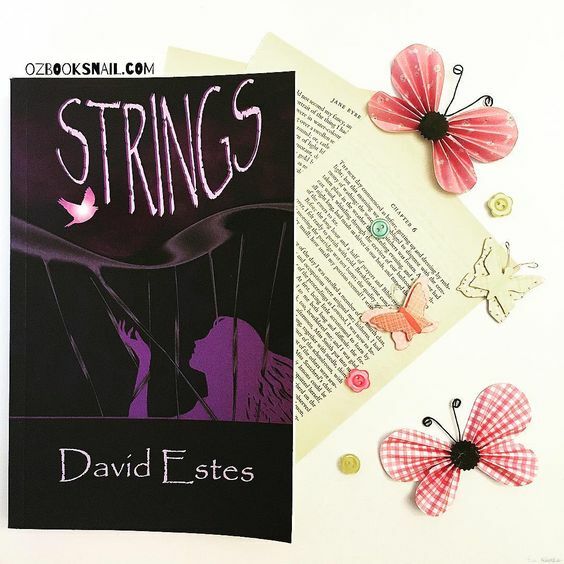 Have you read Strings? What did you think? I need to buy this book. Thanks very much for the amazing review, so glad you enjoyed Strings! Thank *you* for writing such a fun book!! Yayay! It’s so worth it – Fig is life ❤️❤️ I want to see more authors try obscure retellings like this!! Excellent review as always! Fairytale retelligs are so in right now! I must admit I haven’t read one yet… I’ve read a few books inspired by them but not a true retelling. This is such an interesting take on the Pinocchio story! Ahem. Please please please go and get a retelling and read it! !